“Girl Helen”, the first new boat built for Morecambe since 1935. 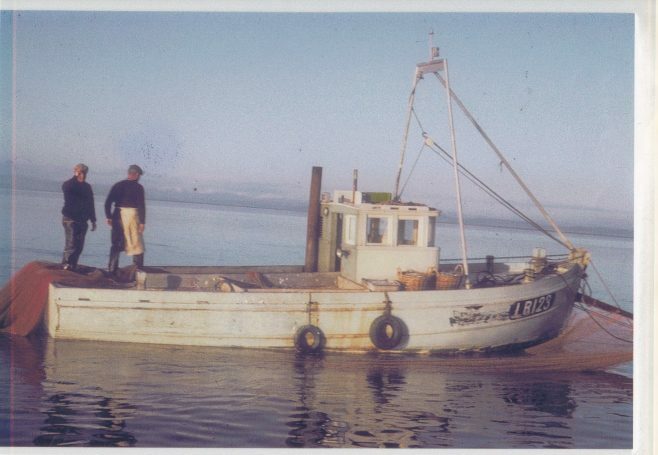 Built under the “Grant and Loan Scheme” she was built at Amble, Northumberland for Sam (Gut Sam) Baxter in 1962. In this photograph she is shown fishing for whitebait in the Ring Hole. She was later sold to Lancaster Port Commissioners as buoy tender at Glasson Dock. She was 30ft 7in overall, a beam of 11ft 1in and weighing 7.06 tons. She was registered at Lancaster as LR 123, 17.10.63.